One of the questions I get asked the most about my journey through Myanmar is “How are the trains?”. 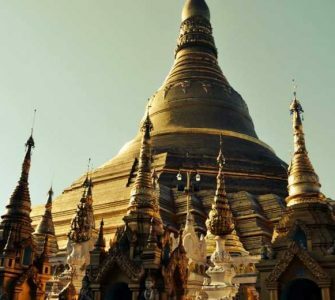 While overnight bus coaches seem to be the most popular choice of transport for its cost and reliability, there is still a charm and a real sense of the golden age of travel by taking the train in Myanmar. While the trains are certainly longer, more expensive and “bumpier” (a understatement) its still a fun way to travel across the country. If you have no time restrictions and no set or strict itinerary, I urge you….take the leap and take the train for an authentic and unforgettable experience. Previous Post: « Interview with the man with the world’s most iconic tattoo!